A Canadian Exclusive! Ultra-high-gain distortion that clones the sound of the Wampler Triple Rec. Fans of the Mesa Boogie Triple Rectifier are astounded by this pedal's intense tone and versatility! With features like 3-band EQ, gain boost, and vintage/modern voicing switch, this powerhouse achieves a wide variety of tones from classic rock to high-gain metal. The boost channel operates independently, further expanding versatilitiy by boosting an amp's distortion channel. 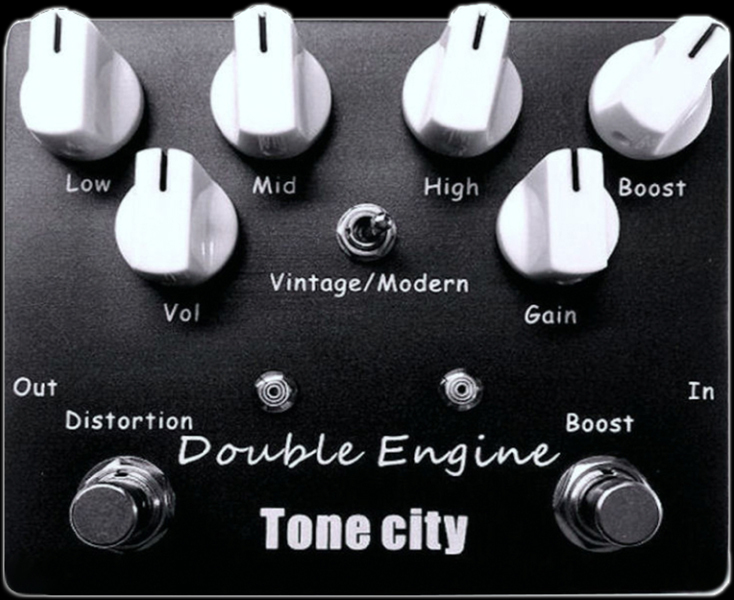 In addition, this is the only Tone City pedal to offer battery operation!